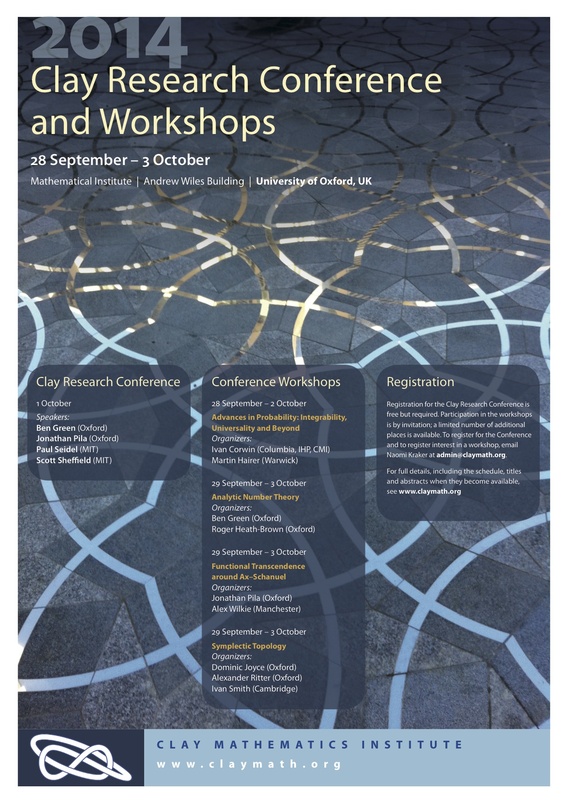 The 2014 Clay Research Conference was held on October 1, 2014 in the Andrew Wiles Building at the University of Oxford. Speakers were Ben Green, Jonathan Pila, Paul Seidel and Scott Sheffield. Four workshops were held during the week of the conference, on Advances in Probability: Integrability, Universality and Beyond, Analytic Number Theory, Functional Transcendence around Ax-Schanuel, and Symplectic Topology.